As part of TLT’s commitment to personalized academic success, we are proud to offer a selection of almost 20 learning modules. These offerings allow students to pursue abate, areas of interest outside their traditional core subjects, providing opportunities to extend learning and pursue their passions. 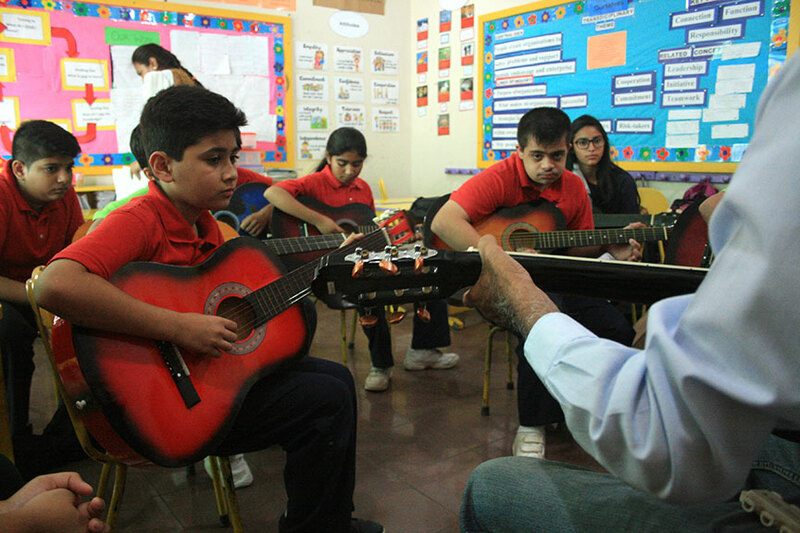 With titles such as Debate, Guitar, Robotics and Rowing, our elective courses and after school clubs help students create unique educational experiences and strong senior school transcripts. Students focusing on form and discipline. 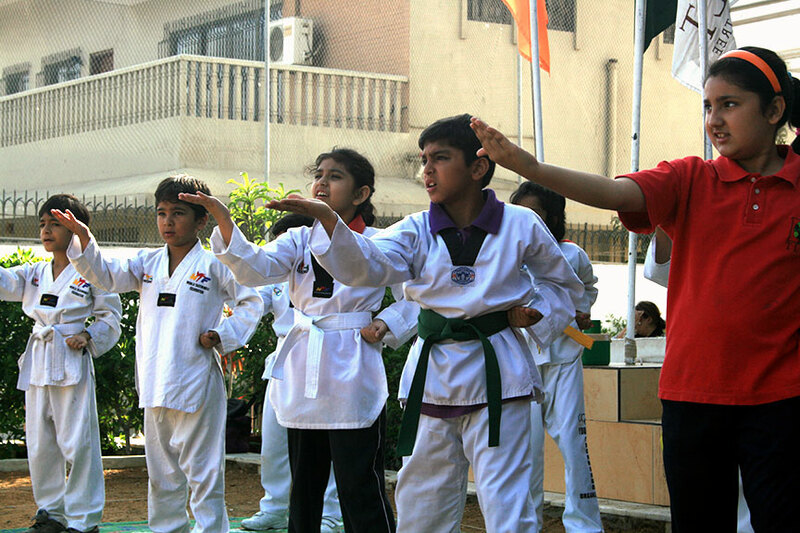 Tae Kwon Do is the modern derivation of older Korean martial arts. It means "the study of kicks and punches". As such, no weapons are used. Being partially based on the tiger, it is a strong, fast, and powerful - or a "hard" martial art. Taught traditionally, it utilizes non-contact sparring to underscore safety and non-violence. All components of training are used to work through the "martial" and on to the "art". The Movement and Expression module is a carefully designed therapeutic social program for children, which incorporates art modalities to foster creativity, compassion and confidence. The program offers learning in areas such as interpersonal skills, creative and spontaneous thinking skills, music playing and singing, team building skills, gross and fine motor skills, and self-awareness. 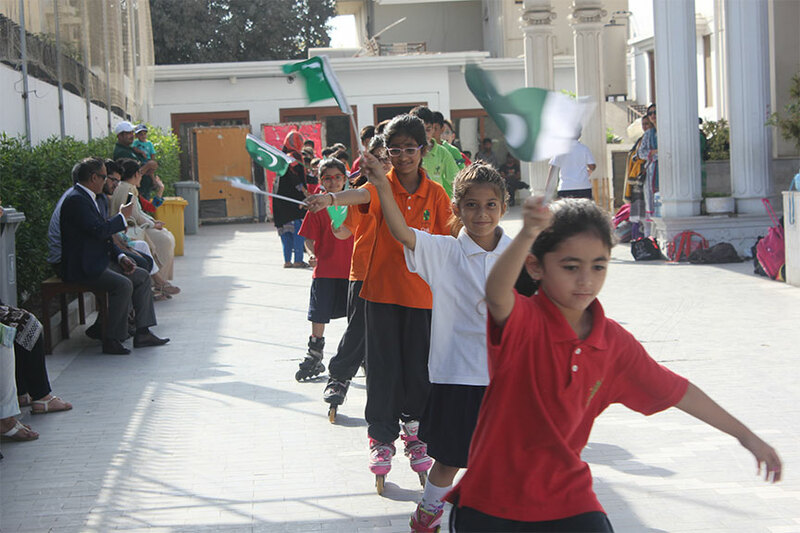 Students roller skating as they wave a flag. Mr. Fareed will be teaching our students skating techniques and working towards developing their balance, coordination and movement. A Zumba class with some stretching . The goal of Zumbatomic is to develop a healthy lifestyle and to incorporate fitness as a natural part of children’s lives. 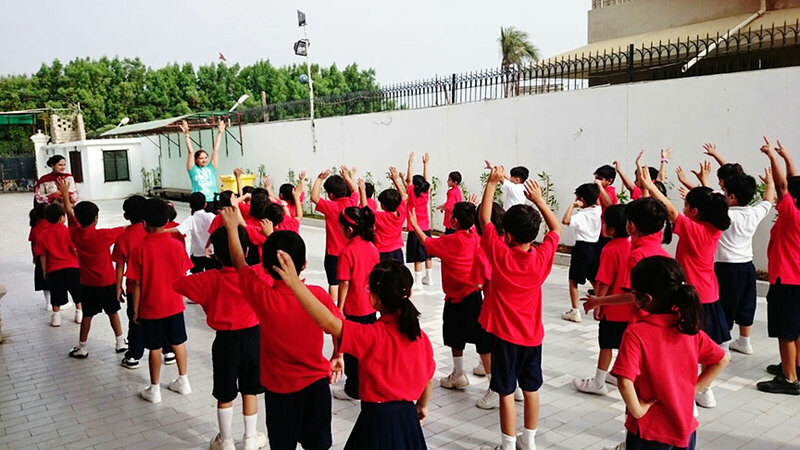 Zumbatomic also considers other facets of the child's development like leadership, confidence, coordination, discipline, memory and creativity. Tennis coach giving instructions to TLT students. 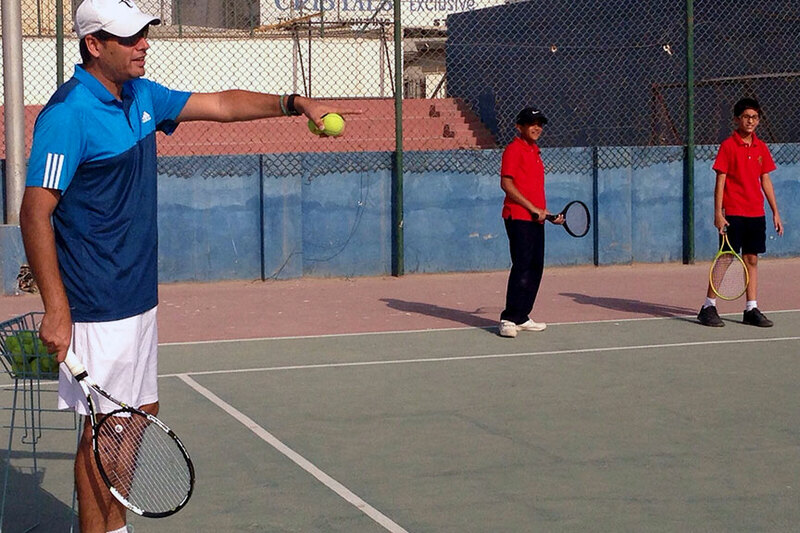 Mr. Reza’s team offers amateur to professional coaching to children of all levels. The team uses 2 full-sized courts, and 3 mini-courts for the lessons. They provide individual attention and use tailor-made tennis nets and special tennis balls which allow young children learn quickly. Students enjoying a volleyball and basketball game. 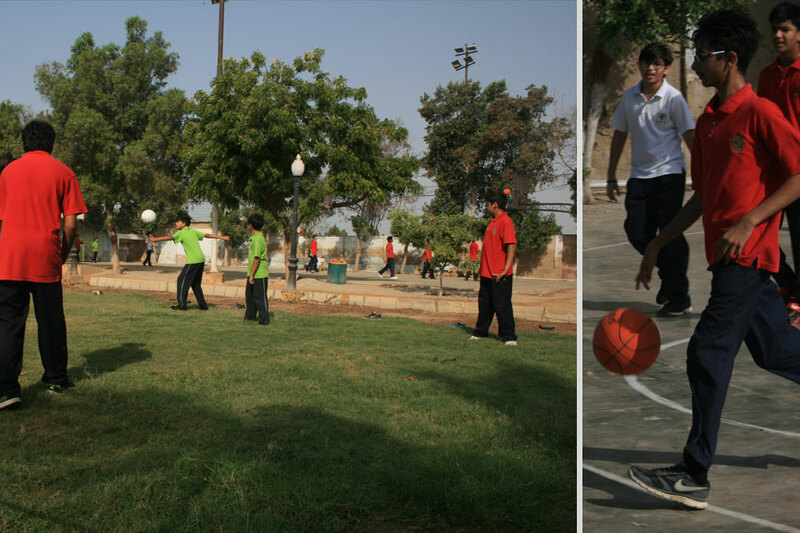 This module introduces the basics of both basketball and volleyball and improves the students’ fitness and stamina. Each student is expected to participate in both sports. Students using state-of-the-art robotics technology at the Robotics Lab. 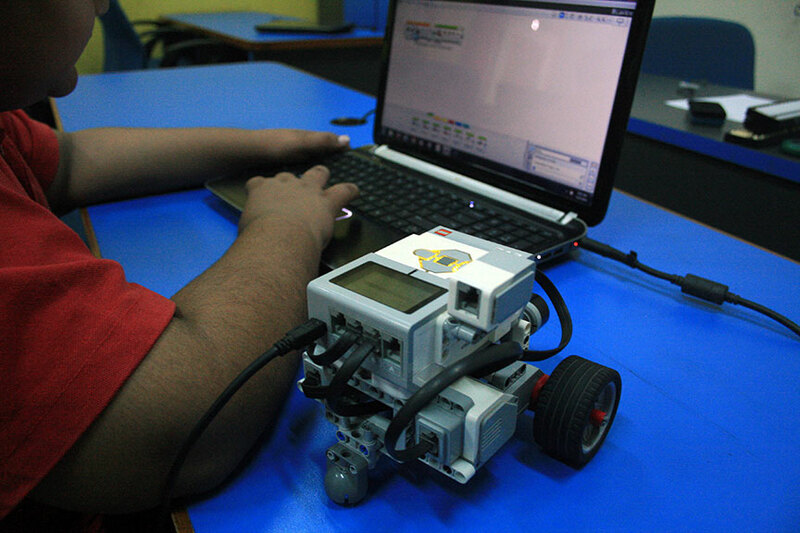 The aim is to ignite in our young students a passion for science, math and technology through Robotics. These workshops has been specially designed for school students to learn about simple machines and mechanical structures using the Lego Education Wedo Robotics from the age 5 - 8 and Lego Mind storms NXT 2.0 technology from the age 9 and above. During the workshop children build their Robotic structures by following building instructions and then program them using a visual, block-based software that is interesting and yet challenging. Students improve their familiarity with motors, many sensors and gears. It nurtures creative and logical thinking, problem solving and teamwork skills. Students warming up before they hit the waters. Rowing is one of the most popular and physically demanding team sports in the world As a high-endurance sports, rowing requires regular training to maintain one’s fitness and strength. 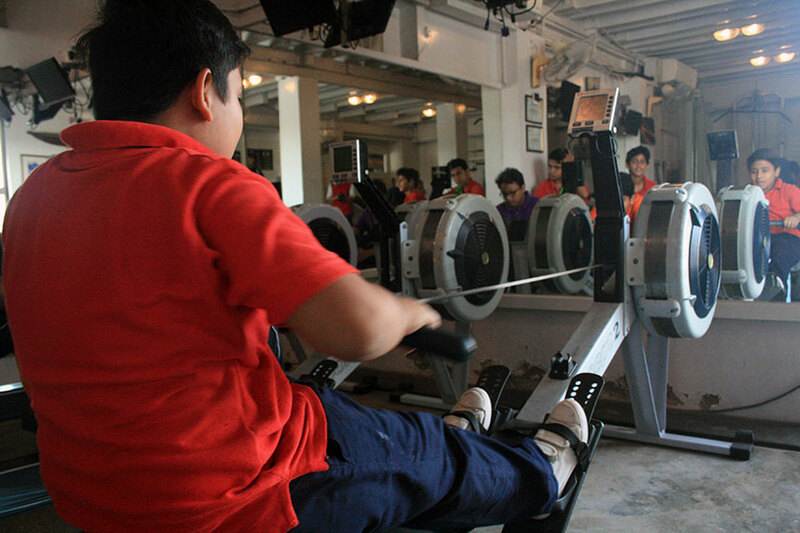 Rowing, also part of the Olympics, is gaining rapid popularity in Pakistan. 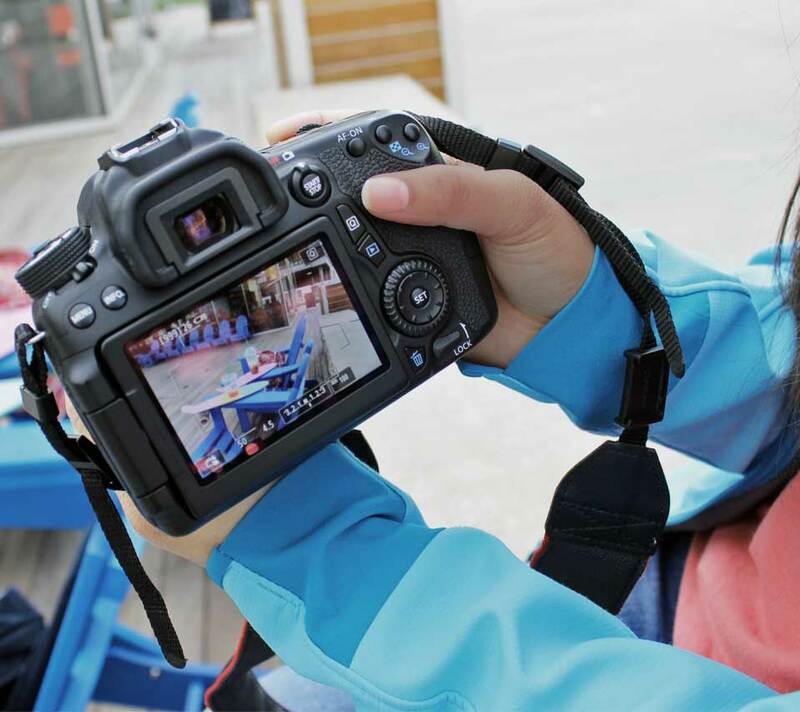 Photography and Film-making go side by side, so if you are interested in creating still images (photography) or moving images (film), you will have to learn a mix of creative and technical skills.. Photography requires composition of images and Film making requires direction, sound and lighting. The students will be taught the history and the art of creating still images and film. Towards the end of the module, the students will be divided into groups and will be asked to make a short film as their final project. 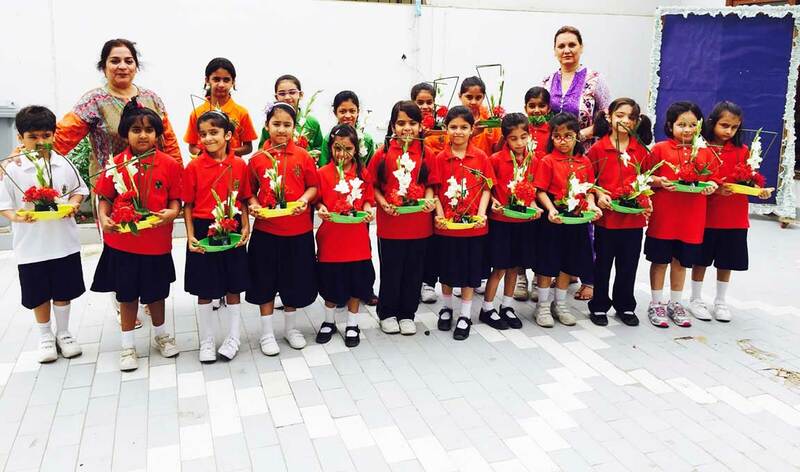 Students presenting their floral arrangement. Begin your journey of learning the art of floral design in this introductory course for all age groups. The floral design programme not only teaches student how to create stunning floral arrangements for different occasions, it provides them with lifelong skills they can use for personal and professional endeavours. Flower arranging is fun and creative and brightens our mind, heart and soul. Using a variety of beautiful spring blooms find out how to cut, condition, arrange and display flowers through insightful demonstration and hands-on-learning. A public speaking class in session. The Confidence Building and Public Speaking module provides students with a unique opportunity to explore and develop skills which would enable them to become confident individuals. The programme consists of a series of workshops with a core curriculum focusing on positive thinking, self-belief, building confidence and effective communication. 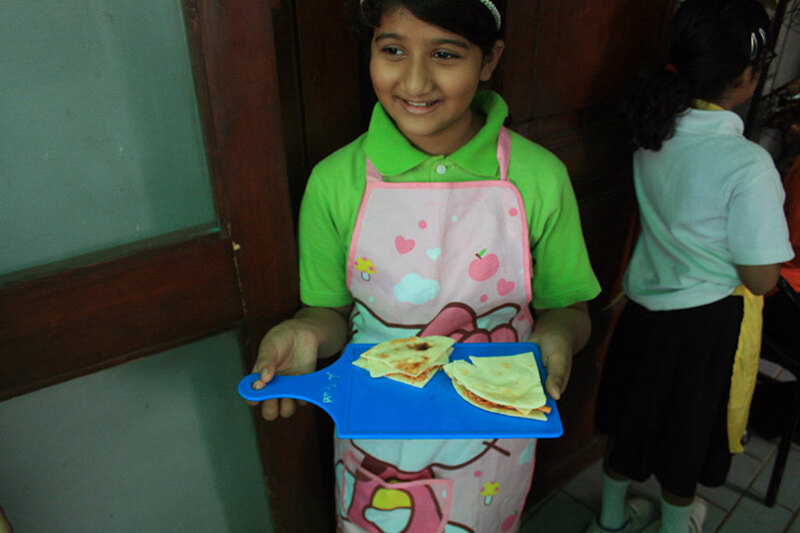 Student during a cooking class session. Kausar Z. Ahmed, who electrifies the classroom develops within the children a love for cooking and encourages them to eat a variety of food. Riders learning about safety before they start their session. 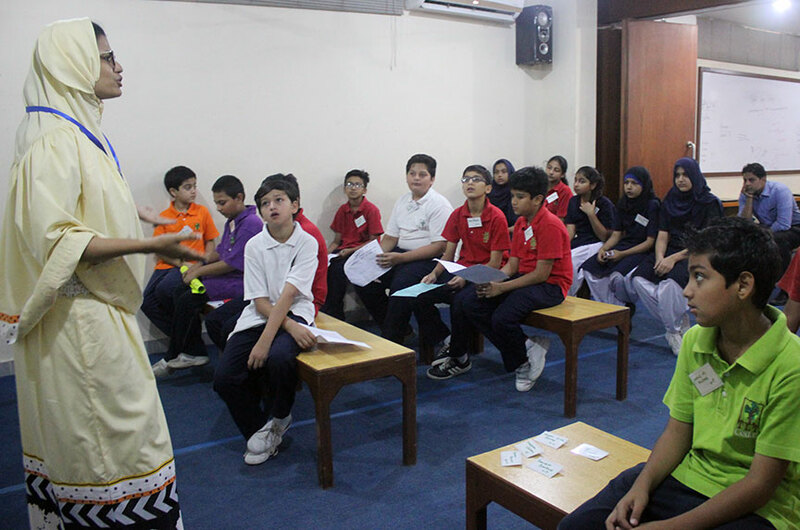 Students are taught by professional coaches under the supervision of Haseeb Mehta. Haseeb is an experienced rider and polo player and has been working with children for several years now. 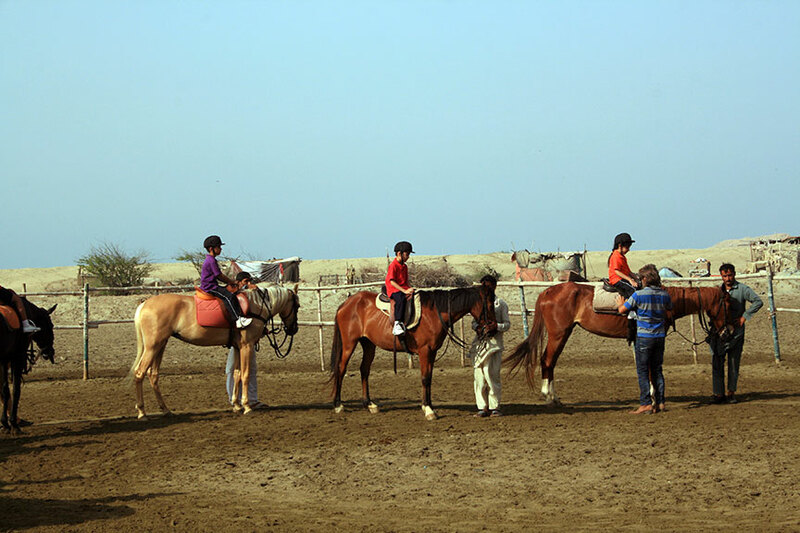 The students are taught to handle horses and riding. Students observing and learning new guitar chords.